Liberty Intl. 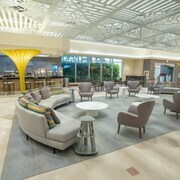 - Luis Munoz Marin Intl. 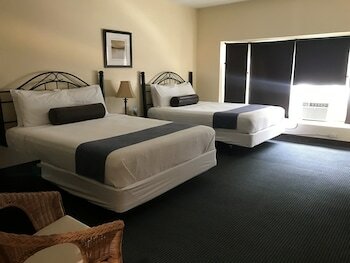 room was very clean and the bed was super comfortable and was great since its was at the airport and we got up, and went straight to the airline. thank you again ! The best thing about this property was the customer service. The ladies at the front desk were very courtesy and efficient. The ladies at the bar especially Sonya were AWESOME!!!!! Great place to stay. Near EVERYTHING!!!! 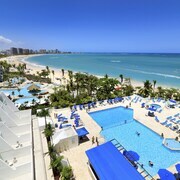 Situated near the beach, this hotel is within a 5-minute walk of Pine Grove Beach and Isla Verde Beach. Carolina Beach is 0.4 mi (0.6 km) away. Travel is life, and astute cheapsters understand that you don't require bucketfuls of cash to do it. So why don't you make Carolina your next extraordinary adventure? 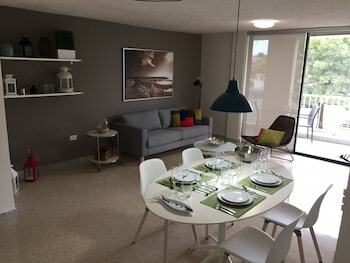 Carolina is located approximately 4 miles away from Trujillo Alto and 6 miles from Canovanas. This area of Puerto Rico Island is home to about 170,000 people. Turn your vacation's next sightseeing trip into an engaging history lesson at the University of Puerto Rico. This free historic sight is worth going out of your way to admire. You can learn plenty about a place by putting on your walking shoes and simply walking around. So why not amble in the direction of Mercado de Rio Piedras? If the sun is shining, slap on some sunblock and make your way to Pinones State Forest. Few things come close to the invigorating sights, sounds and smells of the great outdoors. You needn't be a passionate horticulturalist to enjoy an afternoon with Mother Nature. The Jardin Botanico, Parque Central Municipio de San Juan, Luis Muñoz Rivera Park and Third Millennium Park are some of the most ideal spots to withdraw from the hustle and bustle of town. CheapTickets is not your average budget travel company. We're committed to helping you fulfill your money-saving vacation dreams. And remember, we refuse to compromise on the quality of your experiences, accommodations or flights. Do you want to save up to $481? Simply combine your hotel and flights. With 500 partner airlines and 500,000 properties across the globe, you have a world of choice right at your fingertips. When we say you'll bag the best bargain, we mean it. You see, we've got this little thing called our Price Guarantee. We can match the price and refund the difference if you discover a cheaper price on your vacation package within 48 hours of booking. Managing to secure a cheap deal is one thing, but getting rewarded for it is a whole new ball game. All you need to do is book a flight to earn rewards; it doesn't get much simpler than that. You'll then have cash savings to use toward your next qualifying CheapTickets hotel stay. Savings on eligible bookings — check! Perks and bonus offers as far as the eye can see — check! All you have to do now is log in or sign up for free, join CheapCash and experience the rewards! If you're a legitimate cheapster, the last thing you're going to want to do is spend an arm and a leg on taxis in Carolina. So, why not consider a rental car? Not only will it help you save, you'll also have ample freedom to see all the interesting sights. You'll be able to go right from the plane to your car at Luis Munoz Marin International Airport. A couple of the best offices are Mex Rent A Car and Enterprise. They're located right near the terminal, so you won't miss them. Get in soon for the cheapest deals. CheapTickets presently lists 33 hotels in Carolina. Doing the island on a shoestring budget? 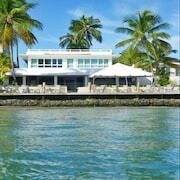 Catch some Zs at one of its best-priced resting spots, like the Tarpon's Nest Lodge or the Borinquen Beach Inn.